Italian cheese and rice. 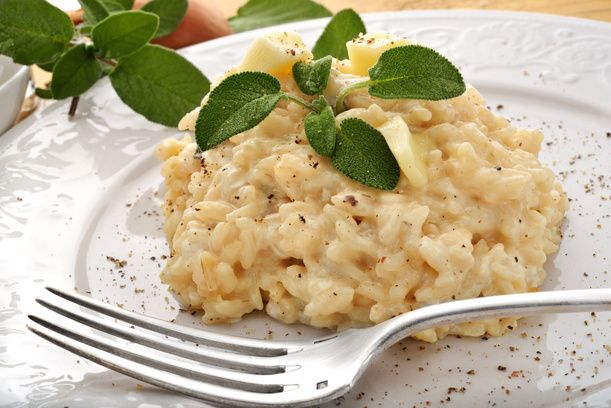 Typical dish from Varese’s tradition, the basic ingredient for Risotto alla Formaggella del Luinese is Formaggella del Luinese PDO: a soft cheese with a 20 days maturing, exclusively produced with whole raw goat-milk. Chop the shallot and brown it in a nonstick pan with a knob of butter. Brown it before with medium then with low heat. While the shallot is browning, cut the formaggella del Luinese into cubes. As the shallot will be browned, put the rice into the pan and toast it, then deglaze with white wine and let it evaporate. Add some broth and let it cook. 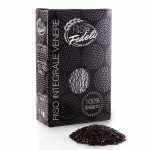 When the rice will be al dente turn off the stove and add cubes of Formaggella del Luinese PDO: continue to stir in order to let the cubes melt completely. If needed add salt, then put the risotto into a plate, sprinkle with fresh pepper and garnish with a leaf of fresh sage. Finally serve it as long as it is hot.